Add a Pallet Focal Wall to any room of the house. 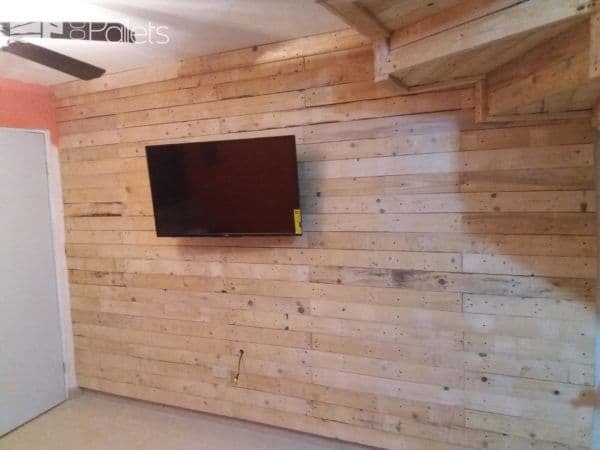 This pallet project looks outstanding behind our TV. We completed the project in a weekend, too! 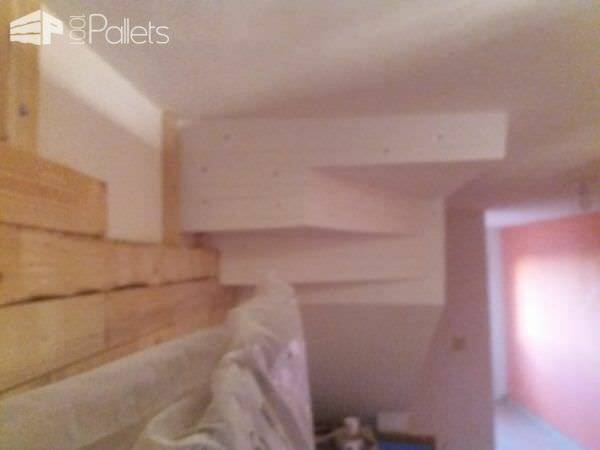 Depending on the size of your wall, you may need more or fewer pallets. Create some pizazz while saving money with a Pallet Focal Wall! 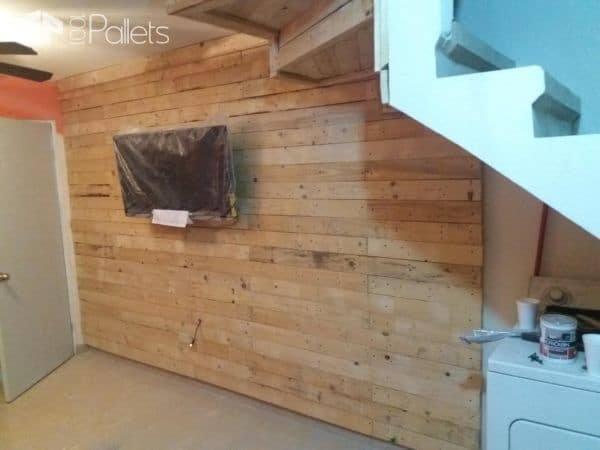 First, to build this pallet wall, dismantle several pallets. Remove the nails or trim the ends.  Make the wood all one size with a table saw. Sand or plane the wood (if planing, be sure to remove all metal) to your liking. 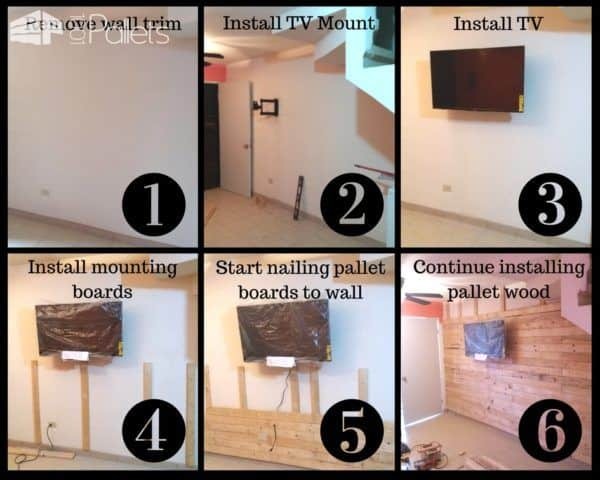 Install any hardware needed to install a TV mount or other equipment. Mark and draw lines on the wall where you want the mounting boards to be. Install the mounting boards after pre-drilling the wood. We had brick, so we needed a masonry drill bit and masonry screws. Begin installing the pallet deck boards, staggering the joints as much as possible. 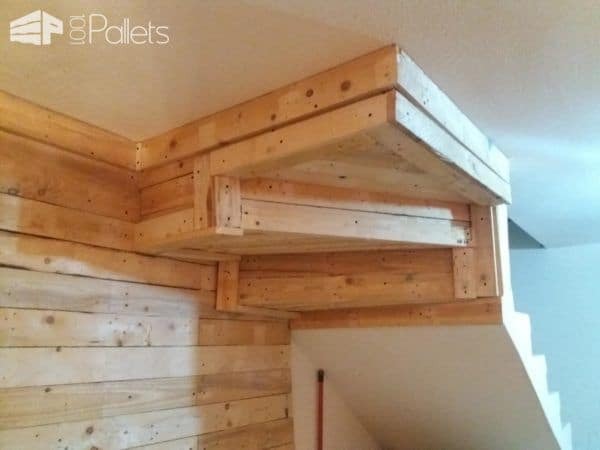 Continue up the pallet wall, and trim around any features you want to, such as the bottom of the stairs. Beginning the project required a bit of prep work first. The wall continues to grow. The wall is almost complete, and the bottom of the stairs are next. A close-up of the bottom side of the stairs. Nifty Pallet Wood Liquor Cabinet Has You Party-ready!